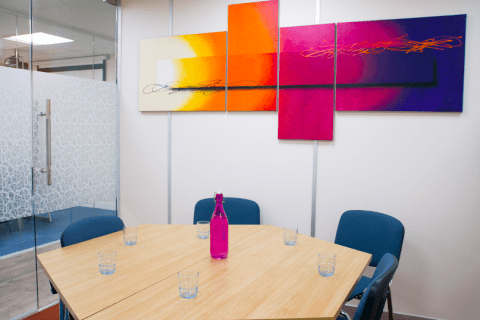 What is included with your conference suite? St. Christopher’s Way is situated on a prestigious office campus, conveniently situated within one of the East Midlands’ premier business locations. The Oberoi Business Hub has excellent frontage onto Pride Parkway; one of the main access routes through Pride Park. We are located within easy walking distance of the city centre and Derby train station, with excellent road links making for easy access to both the A52 and M1. "Great venue, ideal location, and reasonably priced. Food is fantastic too, not like the deep fried frozen rubbish you tend to get at hotel conferencing suites." Once we are in receipt of your enquiry form, we shall issue a confirmation. Only once your booking is confirmed shall we send you an invoice. 50% of your due payment will secure your booking and we will require final payment prior to your meeting taking place. Significant savings compared to local providers. Discount applies to multiple rooms bookings. Q: Are the flipcharts, pens and projector included in the price? 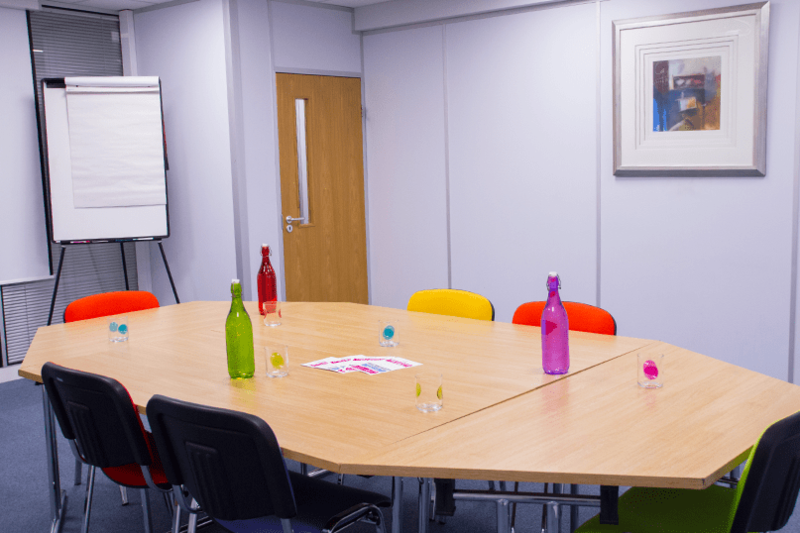 A: We provide flipcharts, pens and the use of our projectors within the price. Q: Do you have an option for meetings that are less than half a day? A: Our price options include a 2 hour session rate. 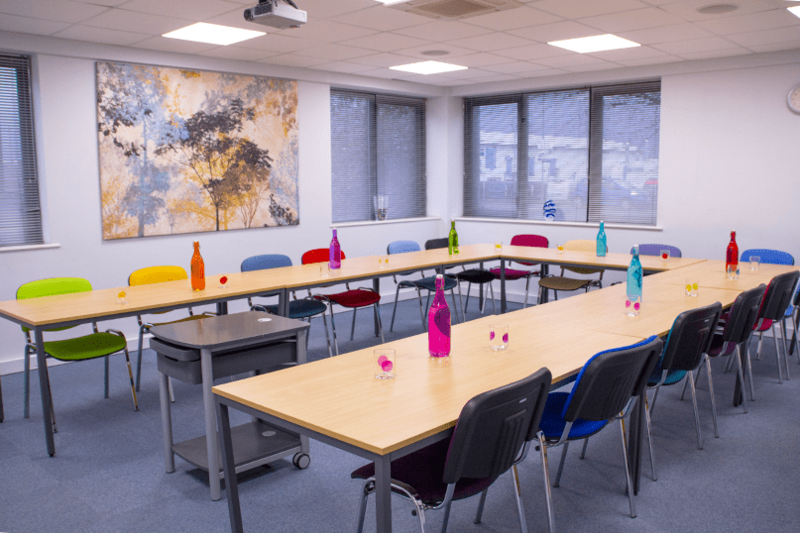 We know that you as a business you may need a room to conduct short interviews or just for a staff catch up. Q: Can I pay by credit/debit card? A: Unfortunately we do not accept card payments. You can pay via BACS, cash or cheque. We do ask for full payment for your booking prior to arrival in order to secure your room booking. Q: Do you have disabled access? 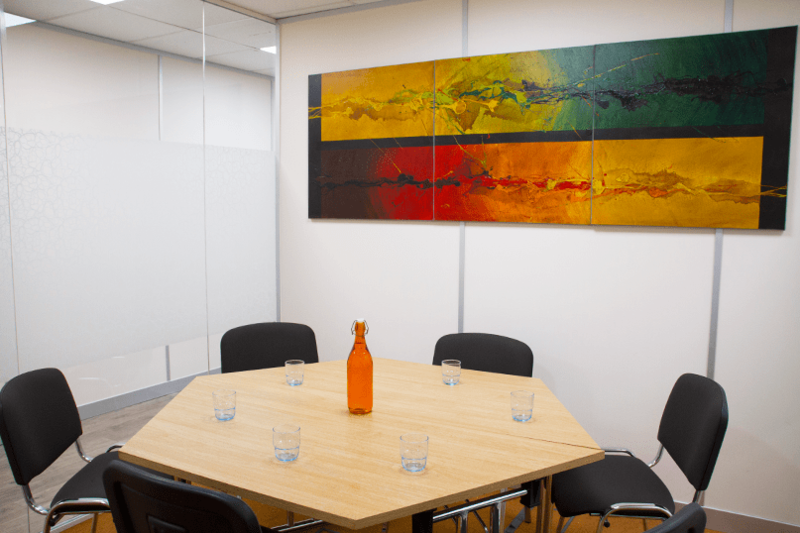 A: All our meeting rooms are located on the ground floor. We also have no steps into the building and access to a disabled toilet is available. Excellent facility, perfect for what was needed. I have been using Oberoi Business Hubs accommodation for almost 6 months now and I have always found their services to be excellent. I particularly appreciate the layout, modern/fresh and clean layout of the rooms, teas and coffees on arrival and the ease of the booking process. When I recently had to change the room booking date, this was dealt with professionally, sensitively and with care (really important given the work of coaching for NHS). 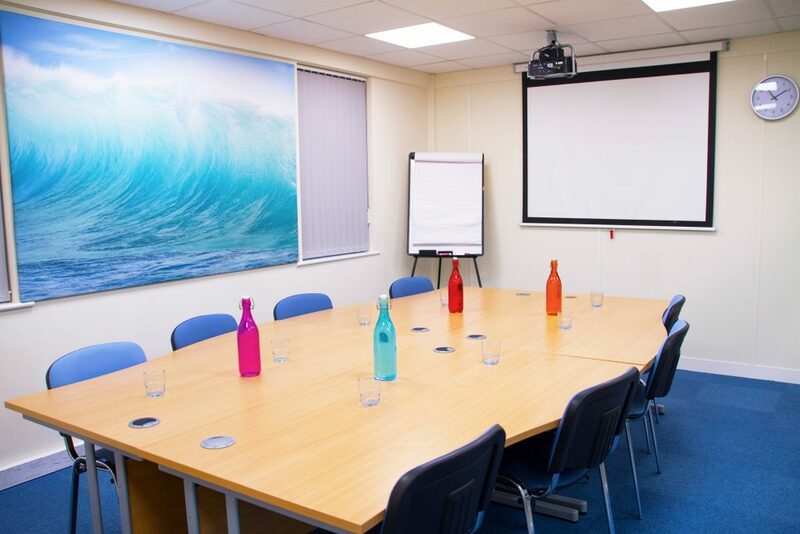 I would not hesitate to recommend their accommodation to anyone looking for a meeting or conference venue. The University of Derby would like to thank Oberoi Business Hub for their efforts to accommodate us at short notice. The venue was perfect for our needs and we will be using them again in the future. My only concern for a larger event would be parking, as in any City venue, this is limited. Thanks to Emma and Jodie for their professional and helpful service. Great venue, ideal location, and reasonably priced. Food is fantastic too, not like the deep fried frozen rubbish you tend to get at hotel conferencing suites. Larger meetings will be possible for me to accommodate in the future which is fab. Thanks again everyone and see you soon. Used Oberoi Business Hub for the first time on Monday, after making a real last minute booking, so to be honest I was anticipating the odd hiccup…. but thanks to the staff at Oberoi everything went smoothly, from first contact everything was dealt with swiftly and as promised, the booking process was slick, the facilities were very good, refreshments and food provided were also of a good standard and the staff were extremely helpful. Would not hesitate to recommend Oberoi Business Hub to others. 10 out of 10 rating from the Jigsaw Business Group Team. We used the Oberoi facilities yesterday for the first time as we needed a small meeting room for a few hours in the area. The team were extremely helpful and flexible during the booking process. The rooms are very well presented and equipped creating just the right impression for the partner we were hosting. Highly recommended – Thank You! Booked by my client as a last minute alternative because their meeting rooms were damaged. The reception was tremendous and the facilities gave us everything we needed. I would certainly recommend this to my business contacts in Derby and surrounding areas. We used the Oberoi Business Hub yesterday for the first time and I was really impressed. The facilities are immaculate and the staff were extremely helpful both on the day and during the booking process. My colleagues gave me good feedback on the arrangements and we all agreed that we would recommend Oberoi to other customers. Whilst we are a relatively new client of Oberoi Business Hub, the contact that I have had with them to date and the way they have handled our somewhat complicated requirements has been second to none. They have always managed to accommodate us and have been very understanding about our needs for conference rooms and requirements. Great venue in a professional and pleasant setting. The staff were very friendly and helpful which really contributed towards a very enjoyable experience for all my event attendees. I will definitely be hosting future events here and would highly recommend it to others. Thanks for hosting me prior to the networking event!